12" action figure. Plastic/Fabric. 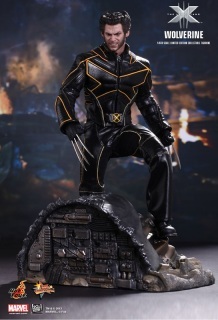 Sideshow/Hot Toys poseable figure of Wolverine from the movie 'X-Men:The Last Stand featuring an authentic likeness of actor Hugh Jackman and movie accurate costume.